BASKETBALL SPOTLIGHT NEWS: Akil Watson Bringing His Skills To Future Phenom Camp! 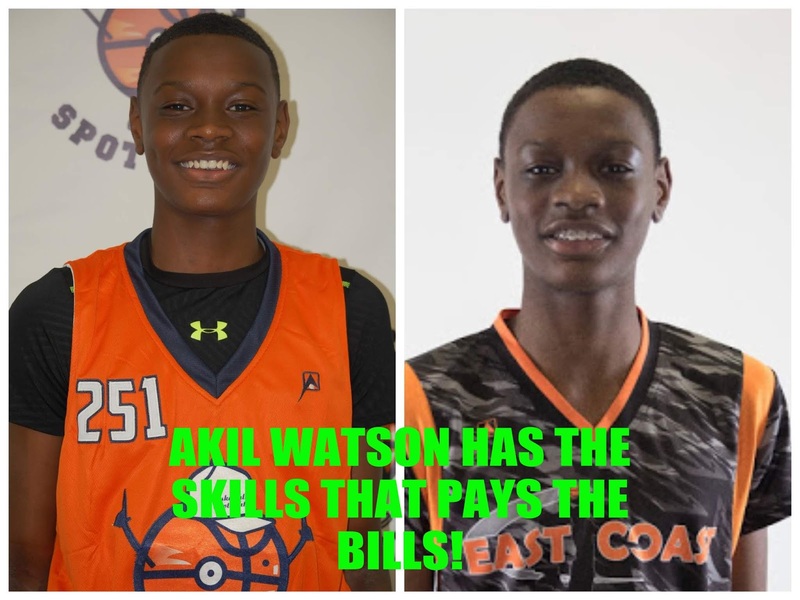 Akil Watson Bringing His Skills To Future Phenom Camp! Akil Watson is one of the most versatile players in the country. He showed he could play positions 1 to 5. He showed promise last summer at the Future Phenom Camp and continued during the Spotlight circuit while helping ECE to a successful season. He’s returning to the Future Phenom Camp to solidify his ranking in the country. Stay tune as we bring you more top players that will be attending the Future Phenom Camp.